Noise and vibration-decoupling fastening. 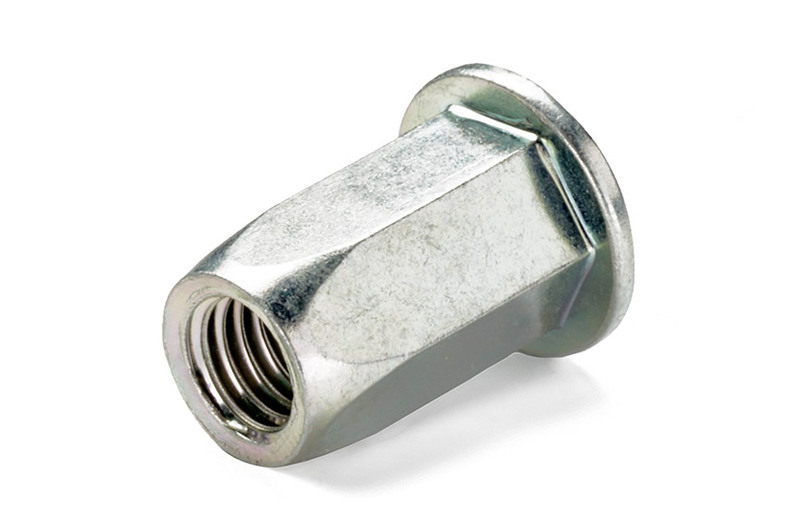 With RIVNUT® AV blind rivet nuts for thin-walled components. RIVNUT® AV is the innovative solution for fastening load-bearing thread bodies to thin-walled components while providing vibration and noise damping effects. 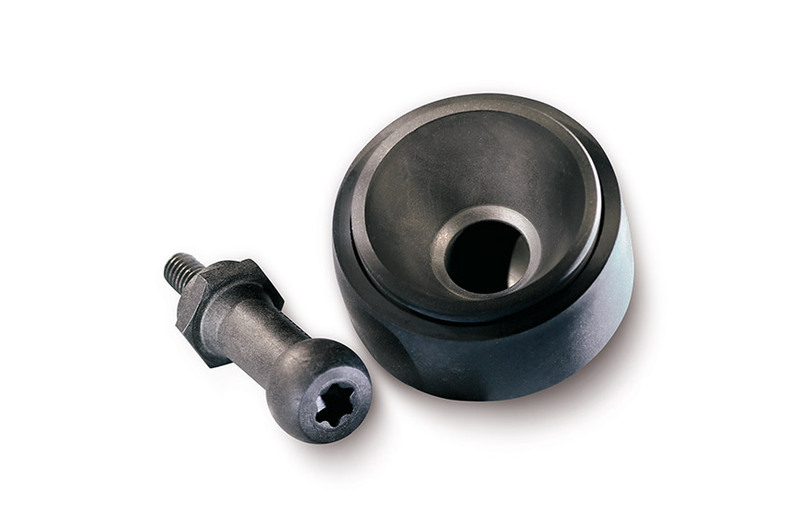 The RIVNUT® AV is inserted into the pilot hole from one side of the carrier component. The blind rivet is held in place by clamping nodules until it is securely fastened. Since the metal body is only connected to the elastomer in the lower area, a bulge forms and touches the component to be fastened on the rear side, when a screw is screwed in. This is a reversible rivet joint. RIVNUT® AV is used in the automotive sector for mounting such things as engine spoilers, filters, compressors and side components for motorbikes. RIVNUT® AV is also applied in general industry, e.g. as a fastening element in electronics and for agricultural machinery. Simple blind installation. 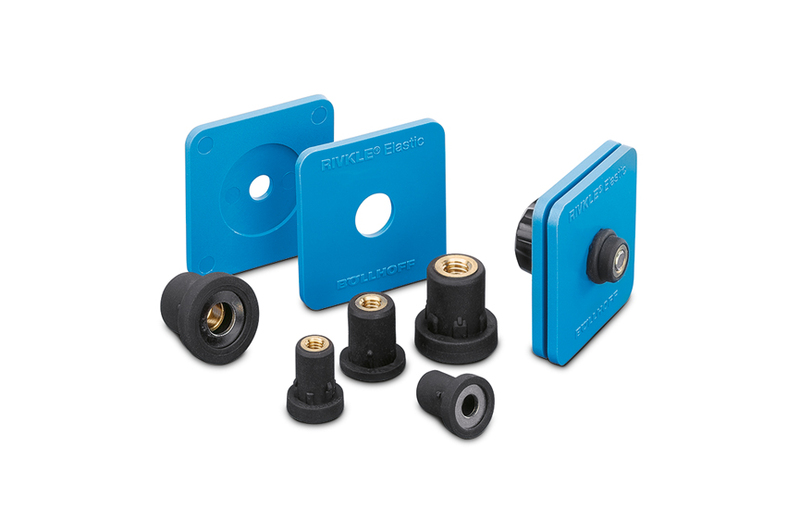 Often the only solution for hollow bodies, housing or components with access only from one side. Setting takes place during the screwing process. 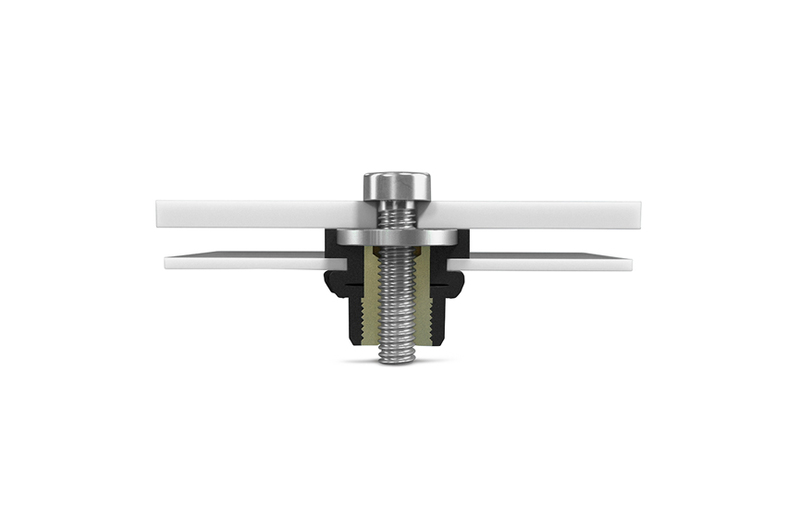 When the screw is tightened, a bulge forms on the rear side of the component to be fastened. Elastomer and thermoplastic elastomers provide electrical and thermal insulation. 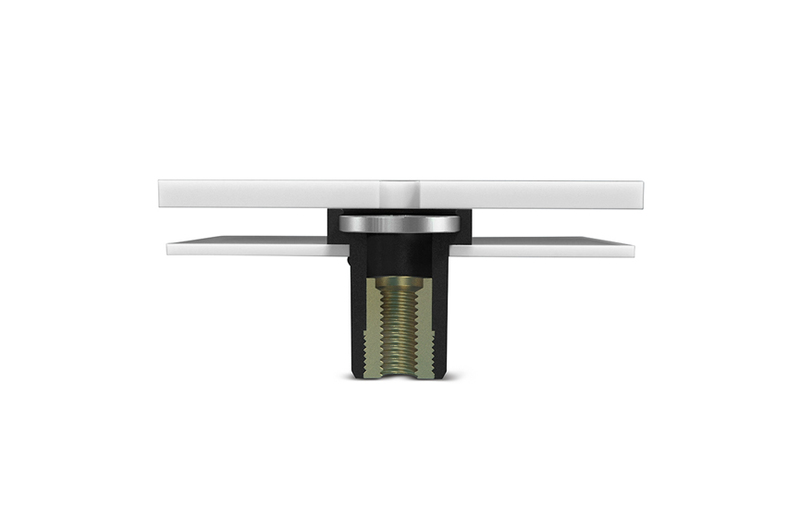 Whether extreme thermal expansion or high dynamics – RIVNUT® AV fastens components reliably and securely. The standard RIVNUT® AV is available in two basic versions and four sizes – M 4, M 5, M 6 and M 8. The standard versions are available in different shank lengths, shank diameters, metal inserts, thread types, thread diameters, thread lengths, materials and colors. The metal inserts are also available in various materials and surface finishes. If the component to be fastened is made of steel and has a pilot hole to DIN ISO 273 standard, RIVNUT® AV can be used without a washer. 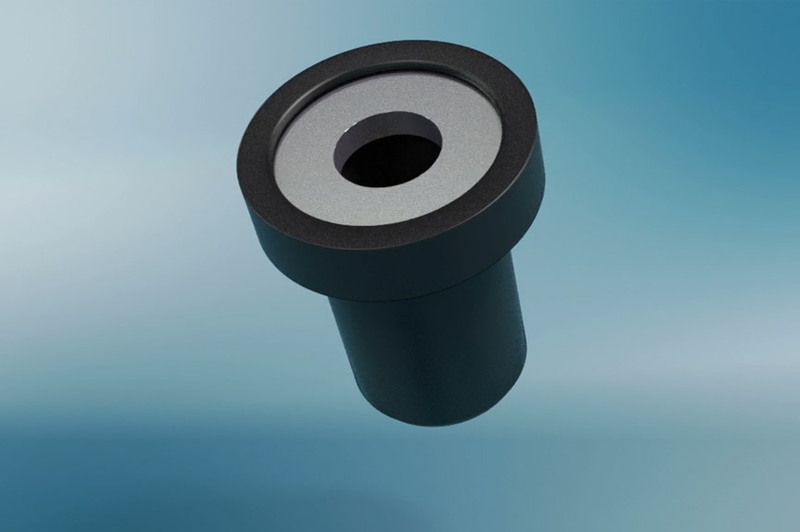 If the component is made of plastic, aluminum or steel and has a slotted hole, the RIVNUT® AV with washer should be used. A thermoplastic elastomer is used with the standard version of the RIVNUT® AV. The RIVNUT® AV with elastomer body is divided into two groups: EPDM and VMQ. Other types of elastomer such as AEM, ECO can also be applied.